Sri Sun Express Restaurant was bustling with life when we visited them on a Friday evening. It was our absolute pleasure to be invited by my blogger friend Tracy to join her in an evening of food tasting at SriSun Express. Thanks to her I got to bring my husband along as well! I was quite surprised to hear from her that many rejected her upon hearing that Indian Food is served in this restaurant. I guess they are not used to eating spicy food. Being a spicy food lover and having survived my business trip to Dehli for a week previously, I accepted her invitation. 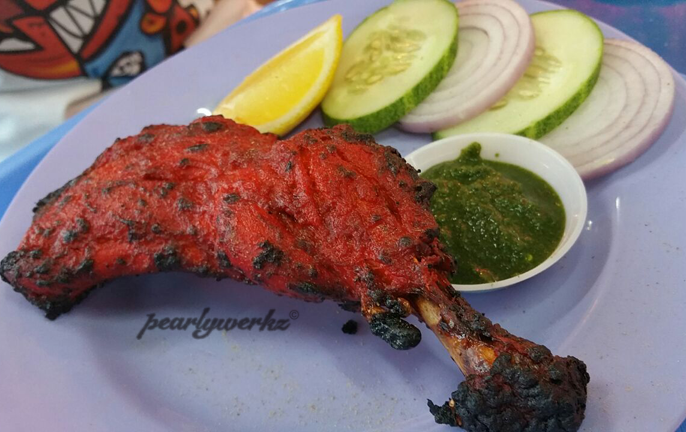 I have tried all sorts of Indian dishes such as kebabs, naans, tikka, masala tea, briyani and many other dishes when I was there. 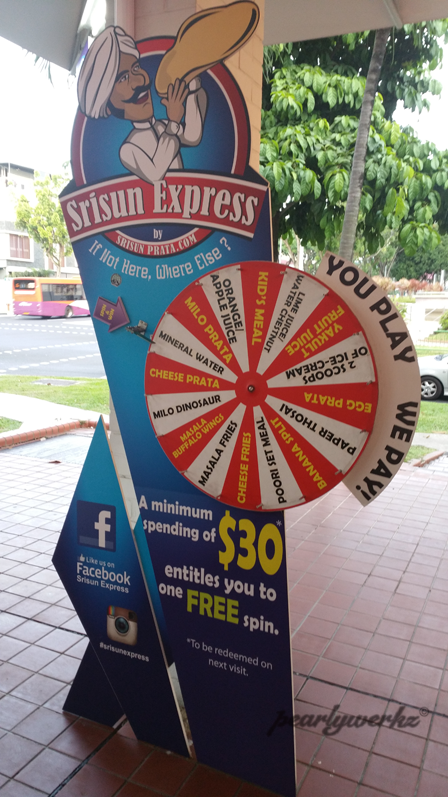 SriSun Express serves South Indian cuisine in 2004 and expanded to a total of 13 outlets island wide. 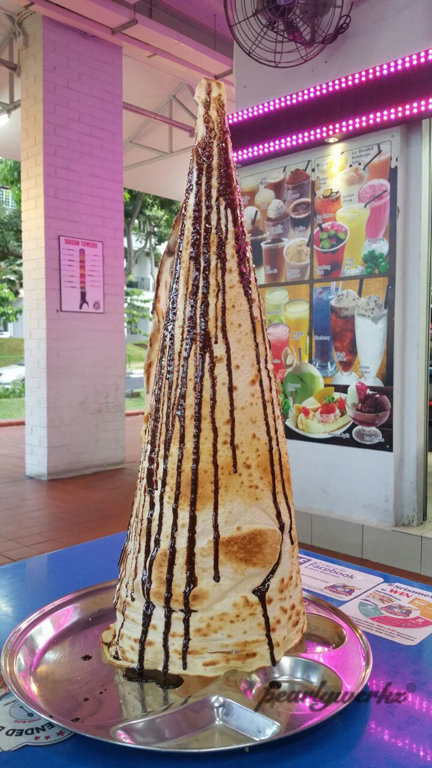 They are famous for their mouth watering crispy prata but subsequently added a variety of flavors such as cheese, durian, Nutella, kaya, Milo etc. 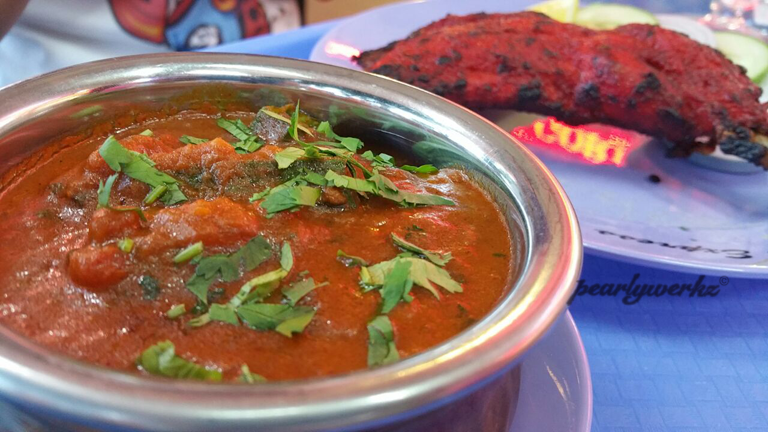 They are known for their quality Indian food at affordable prices. Today, they not only serve authentic south Indian cuisine. 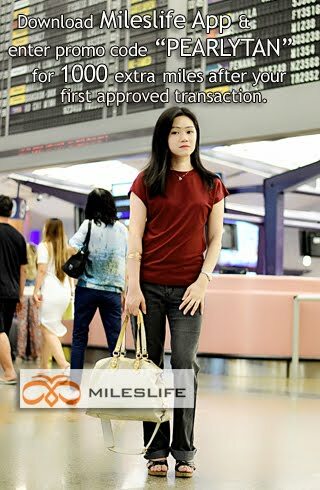 They have included the Thai seafood, Malaysian and local cuisines. 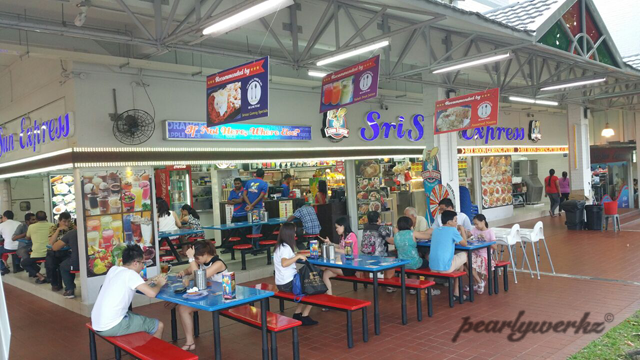 We have the honour to try out their authentic south Indian cuisine such as the Goreng Specials, Coin prata, Milo Le Crème, Yakult fruit juice, Naan dishes and more. Look at the restaurant, they occupy quite a huge space. Spacious and comfortable seating are available both inside and outside the restaruant. First up! The Naan Dishes. 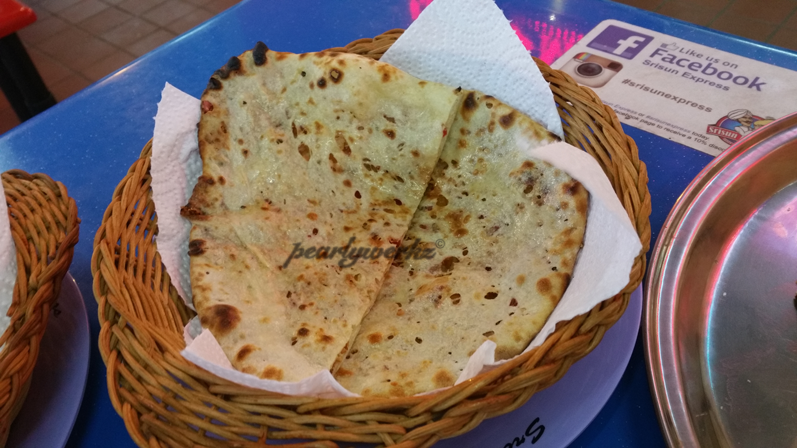 You should try the Garlic Naan when you are here, it is so fragrant that you may wish to have it on its own but we recommend that you order a dip to go along with it. We had ours with the Bhindi Masala (Okra dip). I've tried Okra in fish head curry before, but their version of the Okra dip taste more zesty with mushed up tomatoes, onion and spices in them. For the less adventurous, you can order their plain Naan as well. If you prefer to have it on its own, then you may like to order the dried fruit Naan which gives off a unique and fruity flavour, as if you are eating a fruit cake. Take a peek inside the Kasmiri Naans (Naan topped with dried fruits), these really look like dried fruit found in a fruit cake. Next we have the pratas! 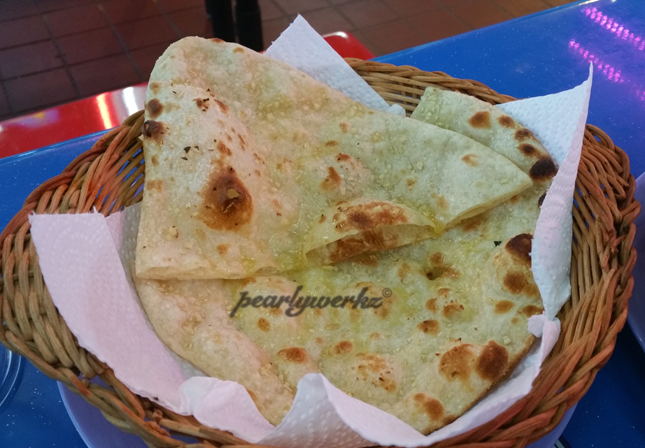 Prata is a fried flour-based pancake that is cooked over a flat grill. 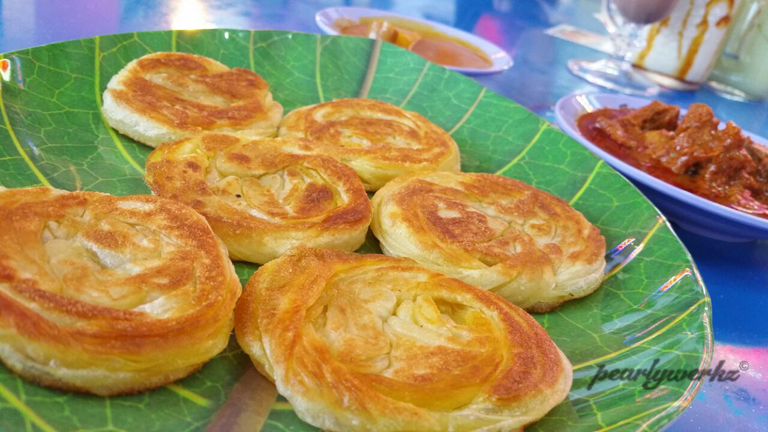 As normal prata are too common, they have something called the coin prata which is simply a round and thicker version of your regular prata. 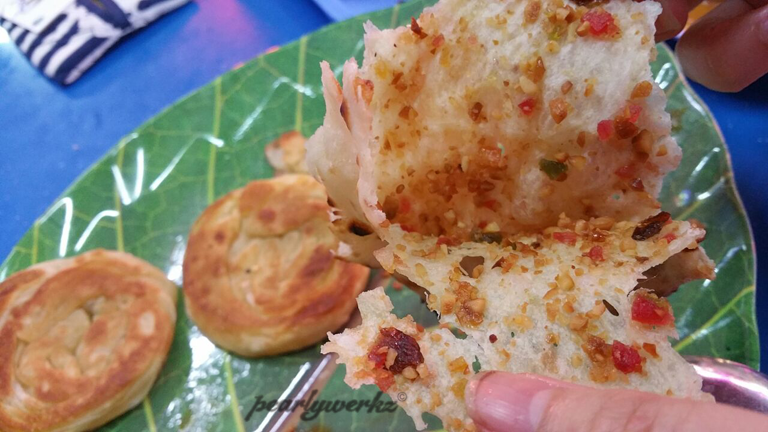 I like this creative coined shaped prata which also resembles the Chinese scallion cakes. 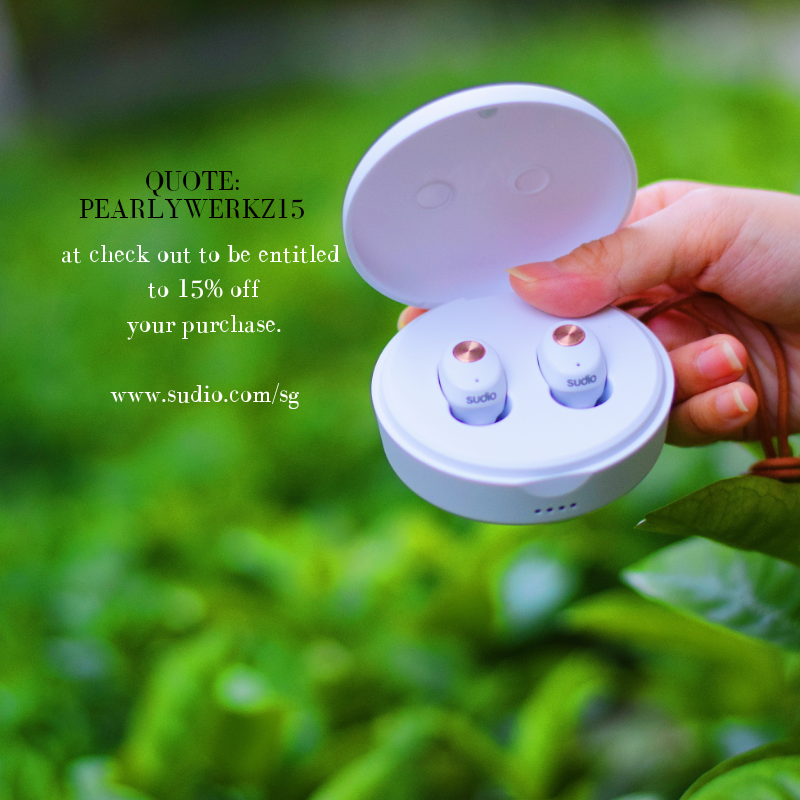 (Cong You Bing). There are 3 choices of dips (Mutton/Sardine/Chicken) Go with the Mutton dip! There is no mutton smell nor does the mutton taste tough and chewy at all. 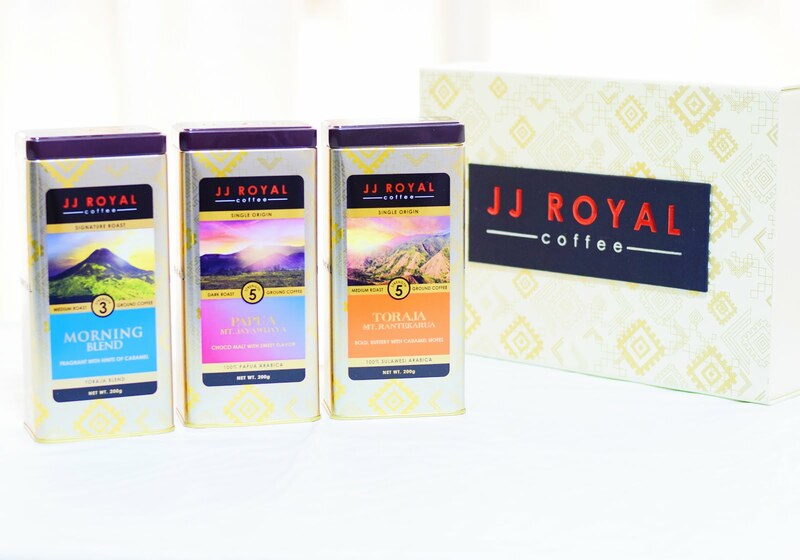 We love the taste and find ourselves going for more servings of this. 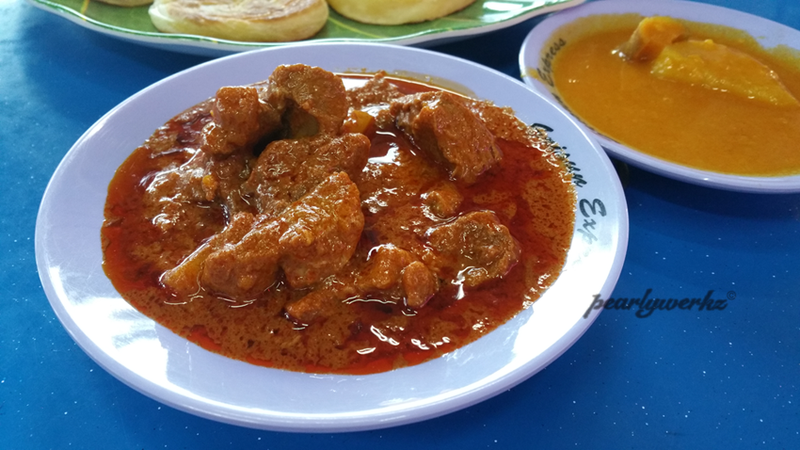 Mutton and chicken dip that comes with the coin prata, what a generous serving! 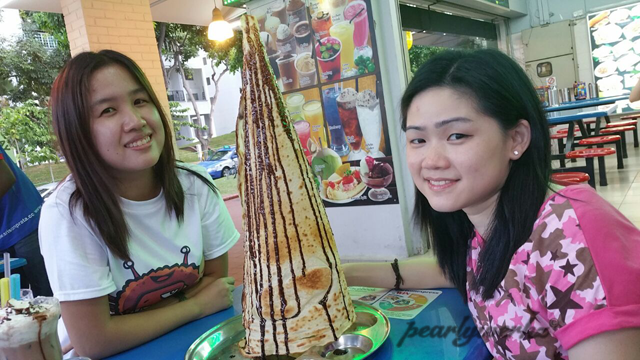 And here you have another version of the prata, it is a tissue prata which is humongous and fun to eat. I had lots of fun tearing out this tissue prata and enjoying it with Tracy. Tissue Prata ($3) Models does not come along with the tissue prata. 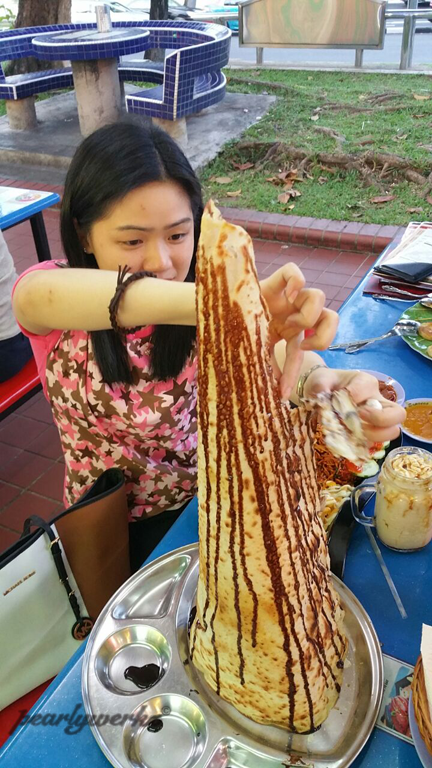 You can choose to have chocolate or condensed milk drizzled on your tissue prata. I enjoy tearing the pieces off, this make a great attention seeking family snack, that passersby couldn't take their eyes off them. 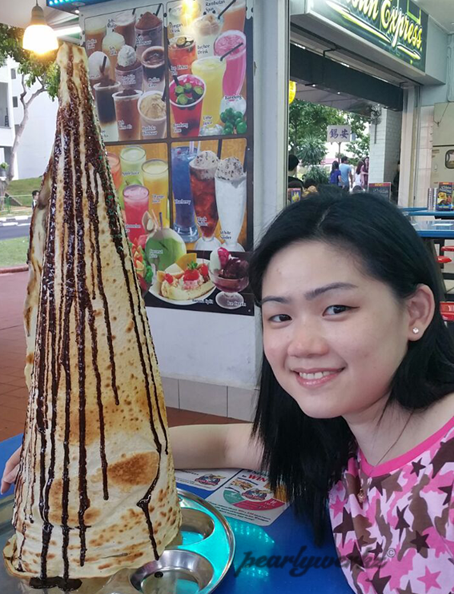 Still posing with my tissue prata, can't take my eyes off you. Looks can be deceiving, it looks super dry from the outside, but taste rather decent. Goes better with some lemon juice and dip with the mint to enjoy a little refreshing taste. I take lots of onions and mint dip in Dehli as well when I was eating there. They even have this thing called the after meal mint refreshments which tasted like mint sweet. Its their culture there. 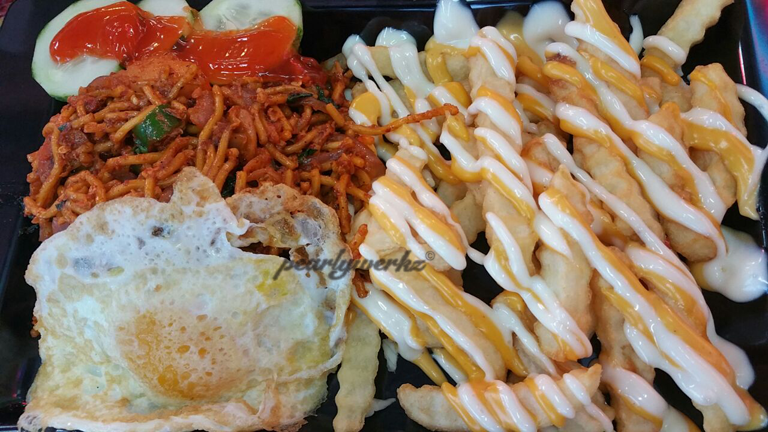 Mee Goreng Special (with mutton or chicken) ($7.50), hey it comes with the cheese fries. A little of western mix here. 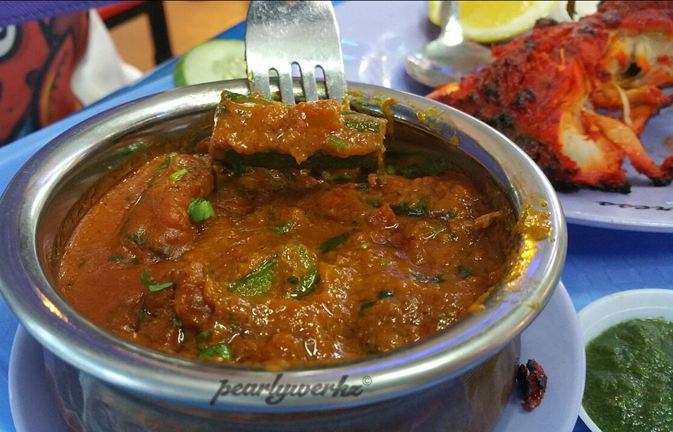 Super spicy yet very tasty, it is my husband's favourite kind of food. Both the Mee Goreng and the fries. 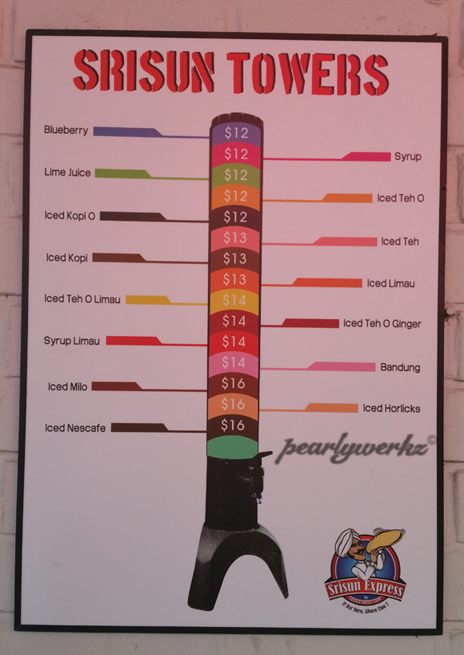 Last but not least, after all the spiciness, I guess you are in need of some yummylicious drinks! 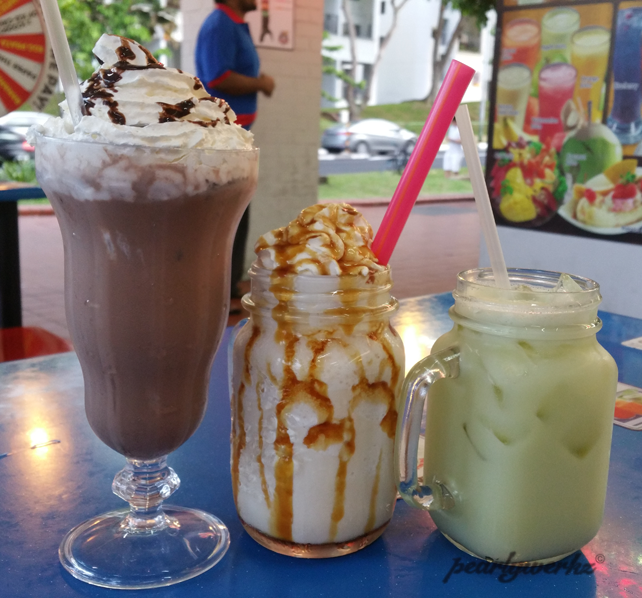 The drinks are not as sweet as they seem, especially the Caramel Milk Shake which looks like a mug full of whipped cream and sugar. Go for the Yakult Green Apple, one of the more popular and refreshing drinks. Good for your digestive health and to gush down all that food you've eaten. You can order the Srisun towers if there are a group of you sharing the same drinks. I think this looks cool! It reminds me of the beer tower. You are entitled to spin the wheel if you spend $30 and above, your win can be redeemed on your next visit. 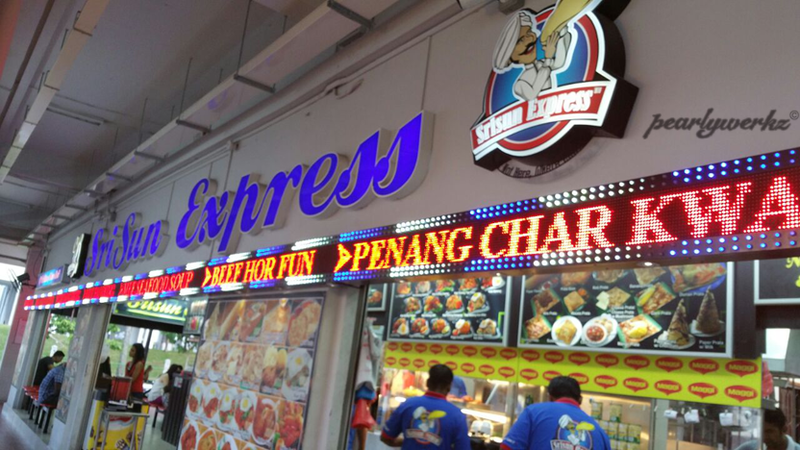 SriSun Express is 24 hours and it is Halal certified, they make a good breakfast and supper place. 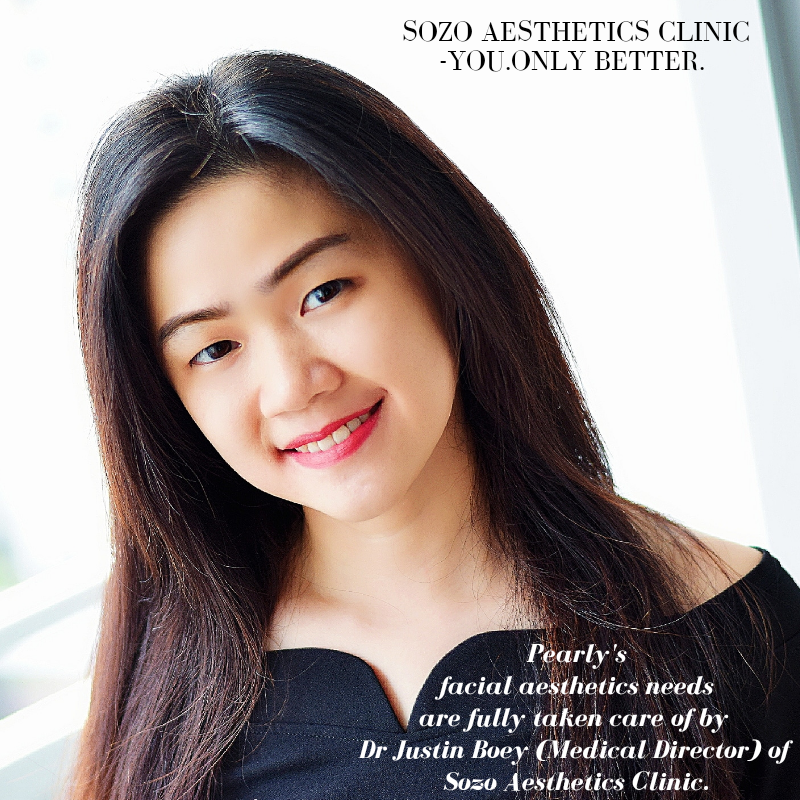 Like their tagline says, If not here, where else? 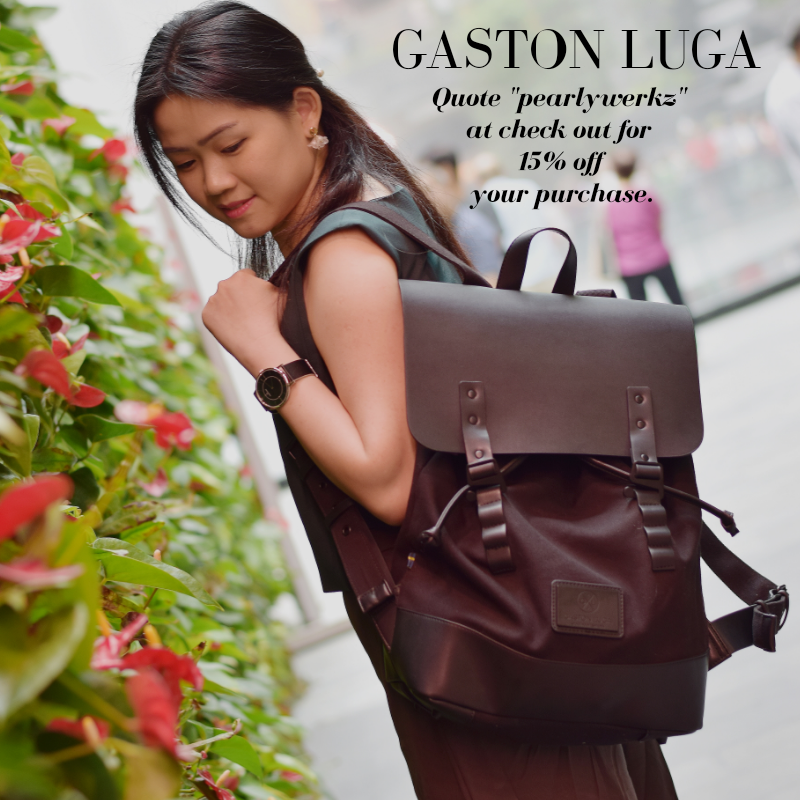 Gather your friends and go check out this place.